As we here in the States take today to spend time with loved ones and give thanks for all of our blessings, we here at Geeks of Doom want to take a moment to give thanks for metal’s greatest blessing: Mr. Lemmy Kilmister and his merry band of miscreants, Motorhead. While not technically a thrash band in the modern sense of the word, there can be no mistake that Lemmy’s propensity for amphetamines led him to almost singlehandedly create the genre of speed metal, which in turn birthed thrash. 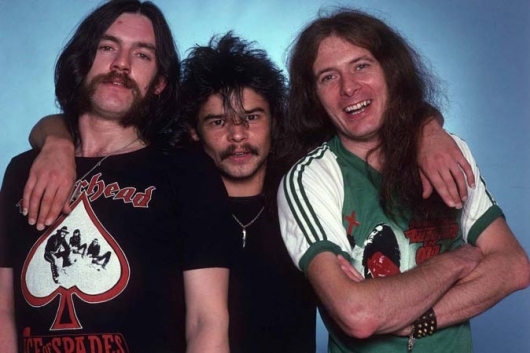 It is difficult to imagine what the landscape of modern metal would look like if not for the institution that is Motorhead. So enjoy your thanksgiving, don’t eat TOO much, and crank up some Motorhead loud enough so that even your deaf Aunt Irene can enjoy.